Teams engage and compete in trial simulations in competition with teams from other institutions. Students are able to hone their critical thinking, debate, analytic and public speaking skills, as well as develop their knowledge of legal practices and procedures. The Loras College mock trial team is pleased to announce that we will be hosting the 31st National Mock Trial Invitational on Friday, January 25 and Saturday, January 26 2019. The field will be limited to 64 teams. Each team is required to provide a qualified judge that will be available for all four rounds. Registration fees will remain at $150 this year and can be paid via credit card online or via mail-in check. Registration fees are final and non-refundable. Registration is not guaranteed until the payment is received. A link for team rosters and judge’s registration will be emailed to coaches after the payment is received and verified. 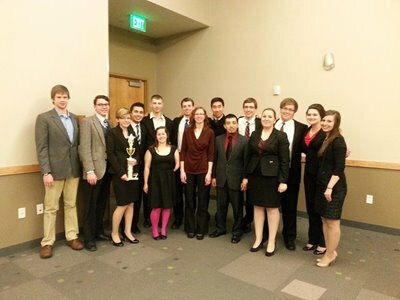 For more information on the Loras College Mock Trial Team and our Annual National Invitational Tournament, visit http://lorasmocktrial.wix.com/lorasmocktrial.